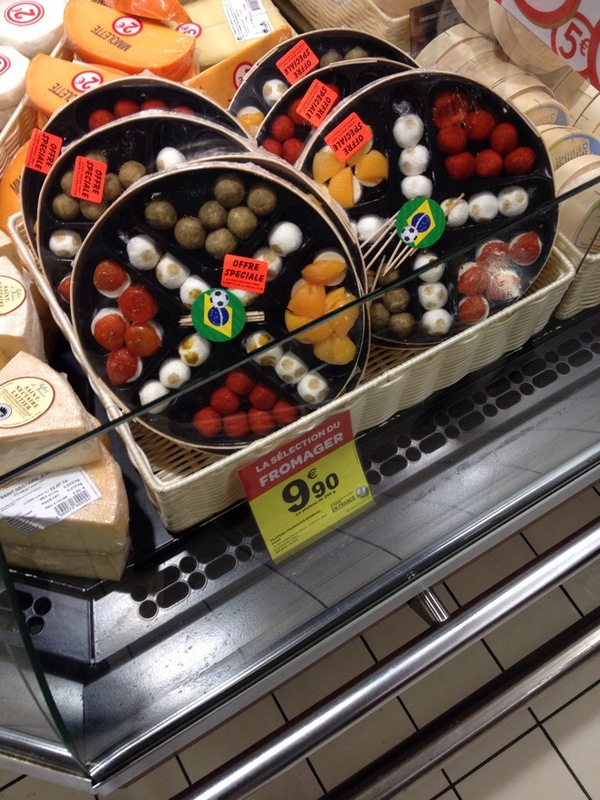 I’m loving all the different French cheeses. I’ve enjoyed every one I’ve tried so far. 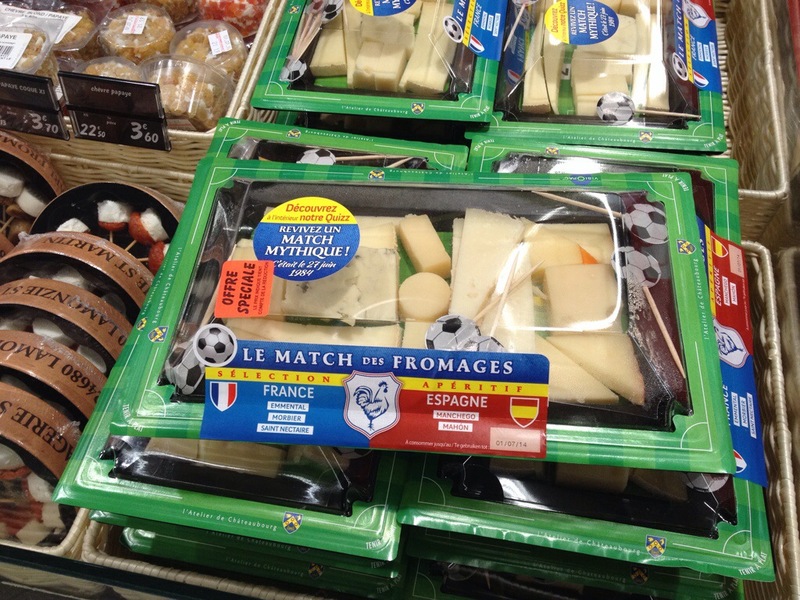 The supermarket in Lille has a long cheese counter and even included special World Cup platters with football shapes and platters for specific matches.